. استمتع بالخدمات الراقية والضيافة التي لا مثيل لها بهذا الفندق في سيدني. يمكن الاستمتاع بمجموعة من الخدمات على أعلى المستويات في الفندق كمثل مكتب الاستقبال على مدار الساعة, مرافق مخصصة لذوي الاحتياجات الخاصة, تسجيل وصول/خروج سريع, تخزين الأمتعة, واي فاي في المناطق العامة. استمتع بوسائل الراحة الراقية في الغرف أثناء إقامتك هنا. بعض الغرف تتضمن تلفزيون بشاشة مسطحة, اتصال لاسلكي بالإنترنت, غرف لغير المدخنين, مكيف هواء, تدفئة لمساعدتك على استعادة طاقتك بعد يوم طويل. كما أن مجموعة الخدمات الواسعة الموجودة في الفندق لضمان راحتك تترك لك الكثير من الخيارات لقضاء وقتك أثناء فترة إقامتك. 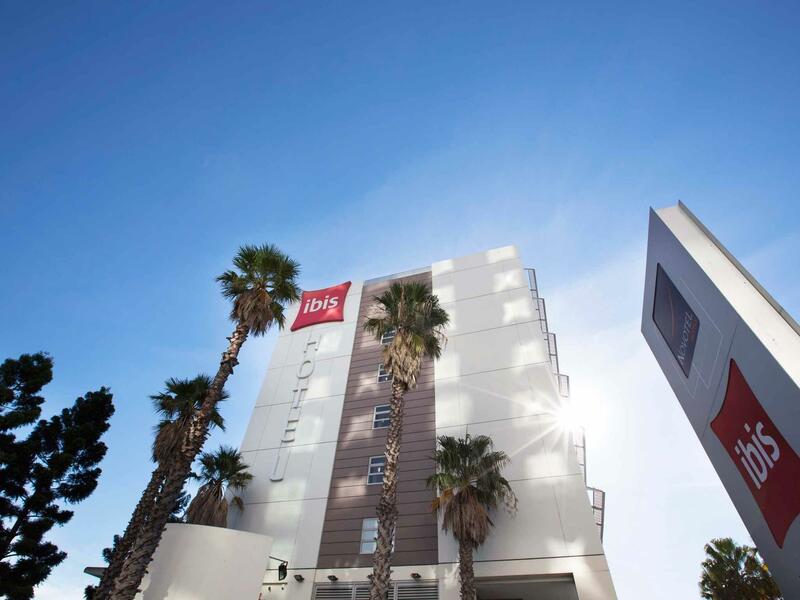 يحظى فندق Hotel Ibis Sydney Olympic Park بموقع ممتاز وخدمات يصعب منافستها. The facilities was very clean and the staff was very helpful. I would be more then happy to recommend this hotel to others that I know. And I hope to be staying here again in the near future, when my son swims at country and state if the price remains low enough for our budget. Hotel is nice, clean, in rather good location. Stayed the night for a concert. The price was a bit up there but I was expecting a more budget type accommodation so was pleasantly surprised to find it wasn't the Formula 1 type of accommodation I was expecting. Stayed here for Guns N Roses concert that was at the ANZ stadium. We could see the stadium from our window. Easy check in. Lots of restaurant and food choices nearby. Only problem was the air conditioning was not the best for the hot summer days. Good point was the windows opened up for fresh air. We stayed in room420. Good shower. Decent view. Out of a cluster of hotels at Olympic park this is one of the cheapest yet clean and still right by the station. If you need to be in town, this isn't the place for you as the trains into the city center are not that convenient. I needed to be around the local area so this hotel was great for me. Clean, nice room with a good view of the park area. Just remember that the air con cuts out (triggers an off switch attached to the window) if you open the window. They don't exactly make that clear. Self-service laundry was great, and ironing board in the room. Wifi is expensive however if you sign up (free membership) then the Wifi is free. So just do that to save yourself $15 a night. 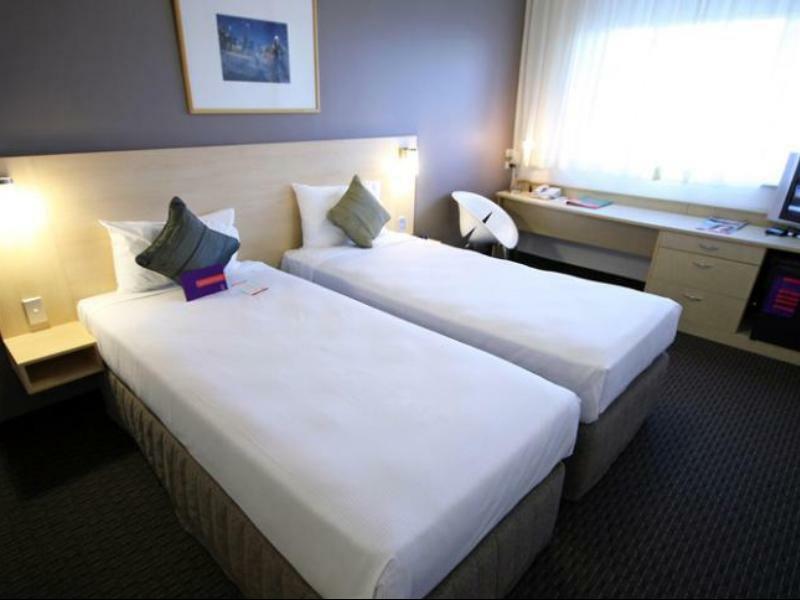 The hotel was well located in the Sydney Olympic Park precinct. There were food and coffee outlets within a short walk of the hotel. The hotel staff were friendly and helpful. The bed was comfortable and the room was quiet. The bathroom had been cleaned but not to a great standard. 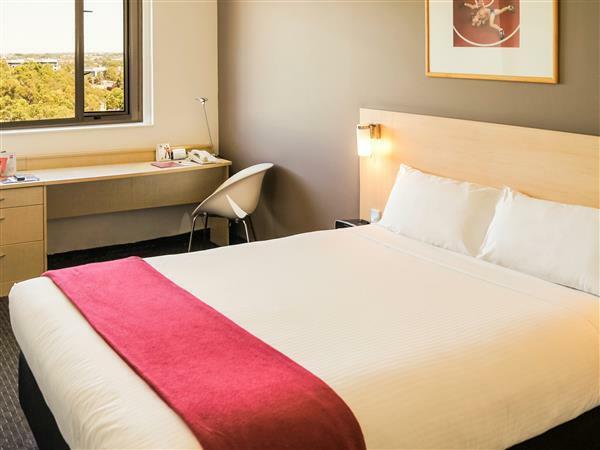 From the moment we arrived the staff service was 100%.... Pinor gave us a very friendly welcome to the Ibis and made our stay very easy both at Homebush to parking at Darlingharbour Ibis , where the service there from (short friendly man from southern highlands) was fantastic too. Highly recommended A Family Ibis stay. Friendly people and excellent services provides. Location, car parking, not noisey. Our stay was confortable. We arrived at 5:30pm (would have been earlier if it wasn't for the road blocks around Olympic Park, but is not the hotel's fault)to attend an AFL game at ANZ Stadium. Car parking was easy, getting to the stadium was easy and the room was sufficient for our overnight stay. Please note that we did not eat at the hotel, so could not comment on the food/dining therefore I gave a rating of 3. My stay was breakfast included I explained this on checking out and showed my paperwork and was told that was fine. After I returned home and checked my bank Ibis had deducted $250, I phoned and was given apologies and told my credit card would be refunded but it has been a week and no refund has appeared. Am not happy as I was lead to understand it had all been sorted when I checked out. This hotel is perfect if attending a sporting event (was there for State of Origin). Its directly opposite ANZ stadium so great for attending a game as you can literally walk 100 meters and you are there. My stay was quite enjoyable walking distance to aquatic centre where my daughter was swimming at.The fridge could have been a little bit bigger & colder.But overall my stay was good & would stay again. close to State Sport Centre. Good size room particulalry for 1 person, good air conditioning, happy staff at front desk and service. lovely helpful people in the hotel shop. i was upgraded to the pullman hotel accross the street and it is one of the best hotel i have stayed at in sydney. 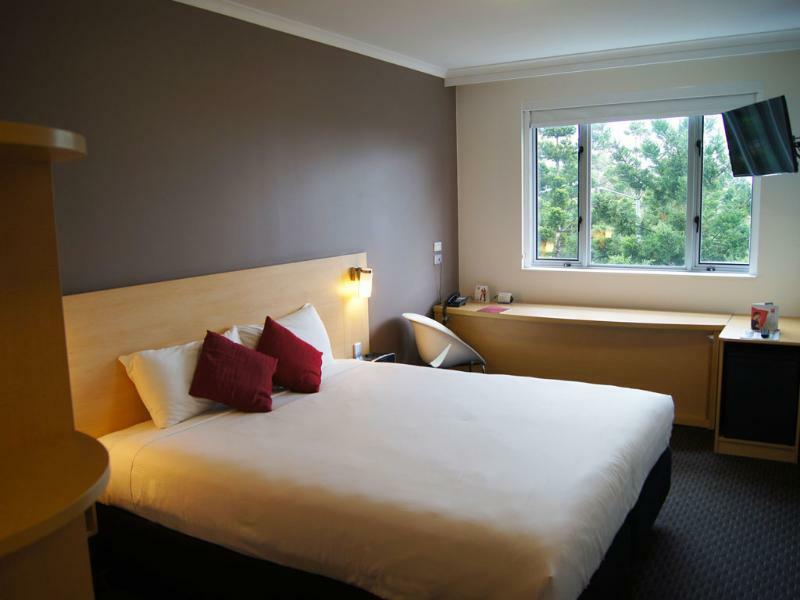 the room had a good view of the city, was located right in the heart of olympic park and offered great facilities. the staff were helpfull and friendly. i was only in sydney for a weekend to see an expo at olympic park and it was literally at my doorstep.